Eight years ago, the first Birchbox was shipped. Today, millions of boxes are shipped every day throughout the United States and Europe. Pooja Agarwal wasn’t a beauty junkie when she started working at Birchbox. She subscribed to the beauty subscription service, but not because she was obsessed with the products. That’s a demographic, however, that Birchbox knows quite well. “When I started working here, I found out I am the exact demographic,” Agarwal says. “We go after the girls who want to learn about beauty but who don’t have time to educate themselves.” As the vice president of operations for the company, Agarwal has made it her job to bring people together and share their areas of passion in ways that she may have never expected. Agarwal’s unpredictable yet meteoric trajectory started when she chose to attend Michigan University, more or less at random. “I threw a dart at the wall,” she says, with a laugh. That decision, though, proved successful. At the university, she studied the unorthodox combination of economics and anthropology. Coming out of college, Agarwal had two goals: to grow a career in the retail industry and to return to her home of New York. Because of her background, she wasn’t a natural fit for any single function, but she instead was capable of adapting that communicative strength to any number of roles. When she joined flash-sale luxury retailer Gilt Groupe, she utilized that flexibility to take on any number of challenges. Across her six years with the company, she held roles across merchandising, sales operations, creative operations, and more. While speaking about the make-ups they use, Harvard Business School graduates Katia Beauchamp and Hayley Barna had an epiphany. To them, buying makeup could be confusing, expensive, and inconvenient. So, what if they could provide an affordable, monthly selection of cosmetics samples? In 2010, they sent out their first Birchbox subscription box doing just that and changing the way people shop for beauty products. They’ve since expanded the company with a supporting online store and editorial content, and in 2012, they launched Birchbox Men. Not long after she joined Birchbox in 2014, Agarwal found a single role that fit her skills. It just so happened that the role encompasses many different functions. When she first came on board as director of operations, the different teams that would traditionally fall under a lead operations role were dispersed throughout the company. Her first step was managing supply chain and subscription, but other functions were quickly rolled into that process, including logistics, web production, and procurement of packaging. In a sense, by making the most of Agarwal’s skills, Birchbox built out a full operations function and are now reaping the benefits. That, of course, includes her being able to work more strategically with the executive team. Agarwal’s anthropology degree comes in handy when Birchbox needs to bring new initiatives to the whole company. She makes sure to learn as much as she can from each individual team so that she can advocate for their needs and see their challenges. It helps that, much like Agarwal, a lot of the team members don’t have operations backgrounds, and bring fresh perspectives to the work. However, because their work relies on proprietary algorithms to build new subscription boxes, that educative tool can be a bit more technical than at other companies. So Agarwal shares her knowledge and makes sure the rest of her team knows exactly what each other contributes to the end goal and can share the load when needed. In fact, she sees herself as her team’s “thought partner” as much as she does their leader. Her commitment to her team members success and knowledge of the company is especially important due to the relatively small size of the company; no team or employee can work in a bubble and, instead, needs to work across functions. “I love that they’ve really grown inside the company and are developing the operations that best suit Birchbox,” she explains. 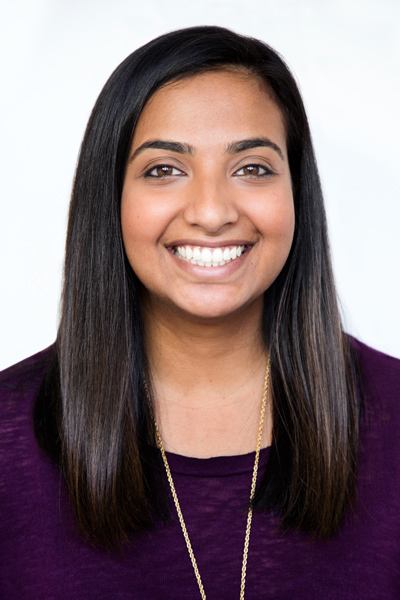 In addition to connections inside Birchbox, Agarwal notes that her team needs to become intimately familiar with their vendors in transportation, packaging, and fulfillment. She ensures that they are able to grow with the company, to move quickly and respond to new ideas that might arise at a moment’s notice. Agarwal and her team also need to share Birchbox’s high demands for consistent quality and affordable cost, so that subscribers get the best products at a price they’re glad to pay. Those vendors aren’t easy to come by, but Agarwal constantly works to find the right fit, no matter how long it might take. Throughout each step, Agarwal and her team find new ways to uphold the Birchbox voice in every detail—whether that’s the weight of packaging or which company will be shipping the boxes—to make sure the best possible products get into the hands of Birchbox customers safely and consistently.